In my field of work, I get the privilege of speaking to all kinds of people. It never ceases to amaze me that not a week goes by that I don’t hear…”I’m not too worried about Radon, we really don’t use our basement much.” I have to remind myself “two ears and one mouth” as I listen to their justification. Even more scary, their belief! Now, in my line of work, my customers range from homeowners, sellers and buyers in real estate, renters, stay at home Mom’s, the young, the old and everyone in between. It doesn’t much seem to matter what line of work or background they come from, the overall consensus is it’s just a problem for them. I consider myself a Radon Awareness Advocate, an Educator, a Radon Mitigation Professional and now my most recent venture…a Radon Blogger. I’m on a quest to bust this popular “myth” about Radon and whether or not it’s a problem in your home. The truth is, in this scenario the basement just happens to be the entry point. Although some people only spend a small portion of their time in their basement, the air in the basement doesn’t stay contained. Radon is likely present in every level of the house depending on a few things. The number one cause of Radon entering your home comes from the forces that will draw the gases in. 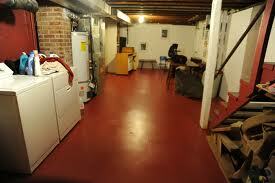 There is natural negative pressure that will draw the gas in through your basement floor. These are the same forces that continue to bring the air up through the upper levels of the house (i.e. convection). The other big contributing factor is duct work. Most modern day homes are built with duct work in place. If there is a furnace or duct work located in the basement, anytime you are using your furnace fan via heat or air conditioning, these systems are then circulating this conditioned air throughout the house. So in other words, basement air doesn’t just stay in the basement! Guardian Radon Mitigation & Electrical Services, LLC is a licensed and certified Radon Mitigation contractor through the State of Illinois’ IEMA Division.